This report summarizes the findings of a Sentinel Project field team which visited the Tana Delta region of Kenya in early 2013. The team conducted a survey related to a series of ethnic massacres which occurred between August 2012 and January 2013. Their report highlights the drivers of violence and potential preventive measures for decreasing the risk of escalation. Click here for a PDF of this report. During February and March 2013, the Sentinel Project deployed a team to Kenya to act as election observers for the general election which took place on March 4. This deployment included a field visit to the Tana River District (also referred to as the Tana Delta), where a series of ethnic massacres took place between August 2012 and January 2013. Information gathered during this trip, combined with the peaceful outcome of the election, has led to a shift in the Sentinel Project’s focus from monitoring Kenya as a whole to a more targeted mandate focused on the Tana Delta. The Sentinel Project started monitoring Kenya as a situation of concern (SOC) in May 2011, at which time the risk of mass atrocities in the country was assessed to be high in light of the 2007-2008 post-election violence. Despite some reforms in the country and international judicial proceedings against the accused organizers of the violence, many of the underlying drivers of violence remained salient – including economic inequality combined with ethnic rivalries that strongly influence political activities. For this reason, the Sentinel Project maintained a high risk rating when it released a revised risk assessment in November 2012. Fortunately, despite significant concerns regarding the risk of violence following the March 4 elections, the event was relatively peaceful, with the exception of some small-scale attacks in the Mombasa area. These attacks claimed the lives of several police officers and were blamed on elements of the separatist Mombasa Republican Council attempting to disrupt the election. Despite these isolated incidents, voter turnout was exceptionally high and Kenyans remained largely patient through a delayed and error-ridden voting and tallying process. Several observers have speculated about how the country avoided a repeat of the violence experienced during the last election. This was likely thanks to a combination of strong peacebuilding efforts by the Kenyan government and NGOs, international judicial proceedings, a concerted media effort to encourage peace and respect for the democratic process, and a heightened security posture by the Kenyan police and military. As a result, according to the Sentinel Project’s risk assessment framework, Kenya as a whole is no longer assessed to be at high risk of mass atrocities. The Tana Delta, however, saw considerable violence between the Orma and Pokomo ethnic groups during the extended pre-election period, which was only stopped by the deployment of a strong security contingent to the area. Some of the violence appears to have been incited by local politicians, including Member of Parliament Dhadho Godhana. This violence included the largest massacre in Kenya since the 2007-2008 post-election unrest and was only mitigated and eventually stopped by the presence of a large security force deployed by the national government (see “Appendix – Timeline of Events”). The violence has often been simplified in both the Kenyan and international media as being the result of longstanding land use disputes between the agriculturalist Pokomo and the pastoralist Orma. There is certainly truth to this interpretation but the violence is complicated by many additional factors (see “Drivers of Violence” section below). The Sentinel Project assesses that there is significant potential for the conflict to escalate into a mass atrocity situation, and lasting peace will only be achieved when preventive measures are implemented to address the drivers of violence. This report provides an overview and assessment of the situation in the Tana Delta along with a proposal for longer-term engagement by the Sentinel Project in the area. The Tana River District is located in eastern Kenya and comprises a part of Coast Province. The district administrative area covers 38,446 square kilometres and is divided into the constituencies of Bura, Galole, and Garsen. It takes its name from the Tana River, which is the dominant landmark in the area and Kenya’s longest river. The Tana River supplies a large portion of Kenya’s electricity needs and ultimately drains into the Indian Ocean. The landscape is predominantly lowland, with few major changes in elevation, but is ecologically diverse, including semi-arid bush, grasslands, wetlands, and forests. It is also predominantly rural, with little infrastructure aside from a few paved main roads. There are few urban centres with most of the population living in small rural settlements. The climate is very hot and levels of vegetation vary significantly throughout the year depending on the seasons, which generally cause two periods of flooding. The majority of the population subsists on either farming or cattle herding, therefore factors such as flooding and drought can significantly impact both the local economy and inter-ethnic relations, especially when disputes arise over land use and access to water. 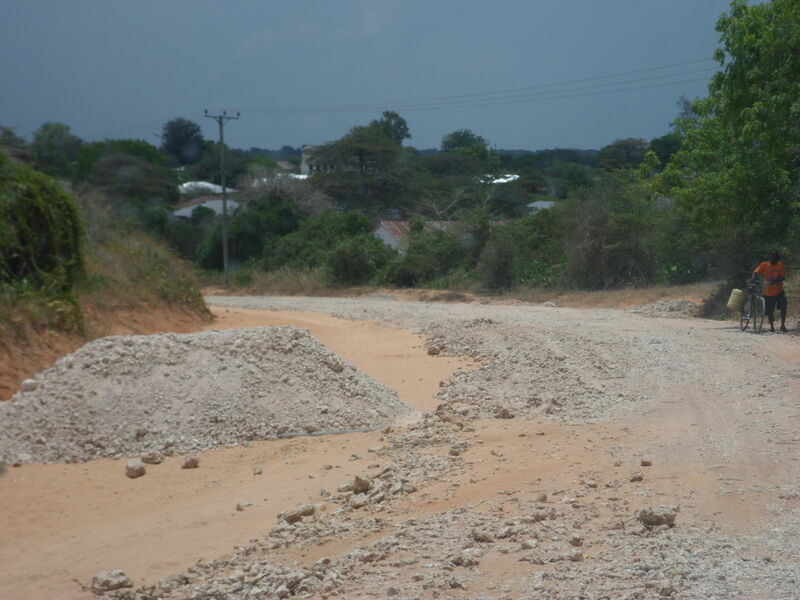 The Tana Delta has a low level of development and although work is being done to improve some infrastructure, only major roads are paved. 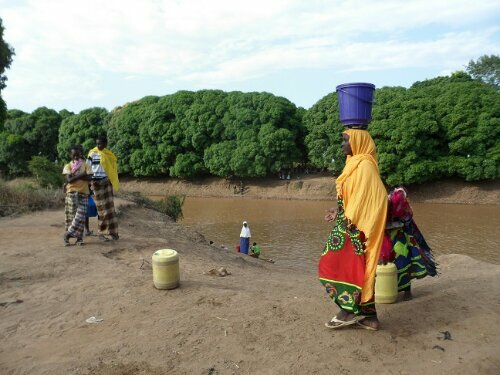 The population of the Tana River District stood at slightly more than 240,000 people as of the 2009 census. The large majority of these people live in rural areas and make their livelihoods directly from agriculture or cattle herding, with only 15 per cent of the district’s population living in urban centres – a rate which is less than half the Kenyan average. On average, five people live in each household, a rate which is consistent across all three constituencies. The population is also extremely youthful, with approximately 75 per cent being under the age of 30 and a large cohort – 60 per cent of the total population – under the age of 20. Combined with high rates of poverty and unemployment and low rates of education, such a youthful population presents a significant challenge to those working for peace and stability since youths have been implicated in much of the violence to date. This total population of the Tana River District is subject to several ethnic and religious divisions. The two main ethnic groups are the Pokomo, with 95,000 members, and the Orma, with 66,000 members, according to 2009 census data. In terms of religion, the Pokomo are predominantly (though not exclusively) Christian and the Orma are Muslim. Other main groups in the area are ethnic Somalis and the Warday, who share an ethnic affinity with the Orma. The Tana River is not only a major landmark within the administrative district that bears its name but also a major dividing line between the Orma and Pokomo communities. It separates many Pokomos from their livelihoods because they live on one side of the river with their farms on the opposite (Orma-dominated) side and they are reluctant to make the crossing for safety reasons. Due to the lack of infrastructure in the area, dugout canoes serve as ferries and are the only way to cross the river for much of its length. It is worth noting the information and communications technology (ICT) profile for the Tana Delta for the sake of future activities in the area. Data for computer and smartphone ownership rates are not available for the Tana Delta. However, owing to its remote and impoverished nature, the region is assessed to have very low internet connectivity. Mobile phone usage was observed to be high, though the majority of the devices in use were basic models. The Tana Delta is expected to be largely consistent with other parts of Kenya in this regard. According to the iHub Research report “Mobile Usage at the Base of the Pyramid in Kenya,” 60 per cent of all Kenyans living on less that USD 2.50 per day own mobile phones, with 53 per cent of these being basic models, 37 per cent being feature phones, and 9 per cent being smartphones. Similar numbers may be expected in the Tana Delta, though the population could skew even more towards basic models due to the rural and impoverished nature of the area. Thus, short message service (SMS) is a common form of communication in the area. Considering all of these factors, any future ICT-based projects implemented in the area will necessarily have to rely on SMS communications. 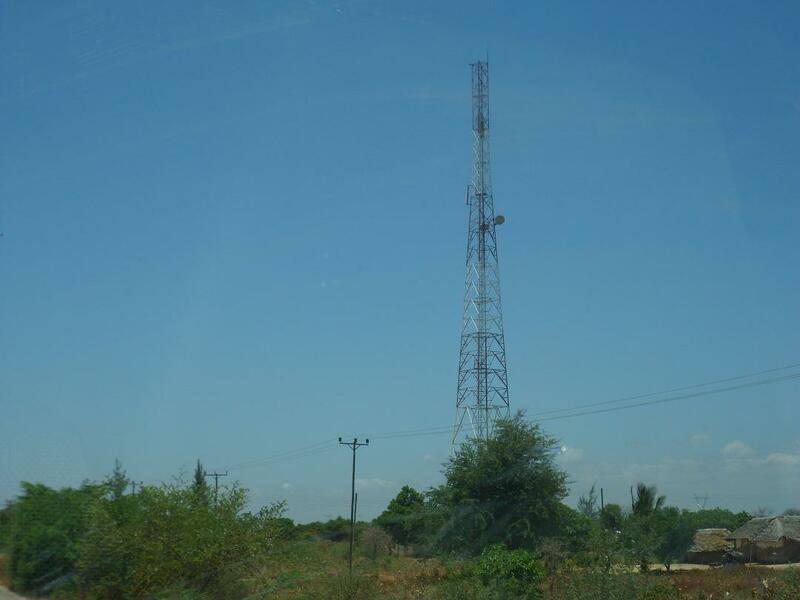 Although infrastructure is limited in the Tana Delta, cell towers do provide widespread coverage and mobile phone ownership rates in the area are high. Additionally, the team was able to visit one of the attack sites (the Orma village of Kipao) and familiarize themselves with several of the surrounding villages. A Swahili interpreter accompanied the team – he was hired from outside the Tana River District in order to avoid local bias. Meetings took place in a variety of formats ranging from private discussions with community elders and the authorities to large open-air meetings with more than a hundred community members at a time. The latter comprised a large portion of the survey activities and provided the clearest window onto the nature of the conflict and, most importantly, how individual community members perceive it. Government officials are assessed to have been truthful in their dealings but also guarded. Community elders were honest but often seemed to be portraying their own ethnic groups in the most favorable light, which was expected. Community meetings, on the other hand, provided Tana Delta residents an opportunity to speak freely, which was often a revealing and insightful situation, especially since team members could observe reactions from other community members. Discussions were structured when talking to officials and the team asked prepared questions. However, discussions were generally free-form when engaging with the elders and community members in group settings. This was done in order to encourage individuals to share the details and impacts of the conflict which they saw as being the most relevant, while the team members could still ask questions to expand on certain points and guide the conversation. The goal was less about establishing the hard facts of the situation – which had largely been learned from other sources – and more about understanding it from the perspectives of Tana Delta residents. There were two main disadvantages to the methods used. Firstly, the majority of people with whom the field team interacted were from the Pokomo ethnic group, both in terms of elders and community members. This was largely a result of the fact that the Kenyan NGO which assisted the Sentinel Project in making arrangements for this trip had more connections with members of the Pokomo community through the clergy network. Second, the large-group format of the community meetings was insightful because of the way that it allowed the team to observe group reactions to the contributions of individual members but it also dissuaded many community members from speaking and so the elders sometimes dominated the conversation. In other cases, when individuals did speak, they were sometimes influenced by the watching crowd, even if they were elders. For example, in one case, a Pokomo elder began to reveal information about a particular attack in which Pokomo youth had participated but he was promptly interrupted by hostile reactions from the audience, approximately a quarter of whom then walked away from the meeting. Aside from these small-scale incidents, the outcome of the general election is also significant for the Tana River District. For several years prior to 4 March 2013, the Pokomo had generally been the politically dominant ethnic group in the area. However, in the March 2013 election, Orma candidates swept all local positions and effectively shut the Pokomo out of any political representation within the district for the first time in ten years. Some have alleged that this shift in the balance of power is due to the number of Pokomos who were displaced by the recent violence and were consequently unable to vote. Together with a pre-existing sense of victimhood, this deprivation of political power may intensify Pokomo grievances, especially if community members continue to be frustrated by attempts to access their land. In addition to ongoing disputes over land use and water access between the agriculturalist Pokomo and pastoralist Orma, several other factors further complicated the situation in the Tana Delta. The Sentinel Project visit to the area raised additional issues and questions to explore with regards to the drivers of the conflict. This is a positive development since each of these questions provides an opportunity to learn more about how Tana Delta residents view the conflict and its root causes. It is difficult to measure the veracity or impact of many of the factors listed below – which were identified during the visit – but they do appear to be the most salient issues for residents, even in the case of allegations which are believed but may have no basis in fact. (1) Some Pokomos mentioned a rumor that an unspecified external actor has supplied the Orma community with a large number of small arms (specifically, 3,000 AK-47s) for the purpose of destroying the Pokomo and driving them off the land. (2) Recently, our contacts reported allegations that a government health worker of Pokomo ethnicity replaced vaccines with poison and attempted to inject it into Orma children before being apprehended. Lack of title deeds for land – This was particularly salient for the Pokomo, one of whom claimed that their ethnic group is the “only one in all of Kenya that has not been granted title deeds” for the land that they have farmed for generations. Such a claim seems unlikely but is powerful if people believe it. For example, Orma violations of Pokomo farmland have been a frequent trigger of violence and the Pokomo feel that they have no legal recourse in such situations and are being treated unfairly by the government. Perceptions of government favoritism – Some Pokomo individuals feel strongly that their community is treated unfairly by the Kenyan government at all levels, with one person even claiming that then President Mwai Kibaki was opposed to them. Such accusations were also made against local civilian administrators, police, and military personnel. The Orma do not seem to see themselves as being favored and have their own reasons for viewing the Pokomo as the favored group, including longstanding political dominance of the Pokomo and their perceived greater access to education and other government services. Perceptions of inequality – Members of both the Orma and Pokomo groups expressed feelings of being disadvantaged relative to members of the opposite community. In the Pokomo case, a recurring theme was the perceived greater wealth of the Orma, who are also thought to be able to pay off the government. Local definitions of wealth may differ since many of the Pokomo live in brick houses in permanent settlements, wear Western-style clothing, and some even own cars. The Orma, on the other hand, live a semi-nomadic lifestyle, dwelling in grass huts with very few modern amenities or access to infrastructure such as paved roads or electricity. Perceptions of prosperity seem to be tied to livelihoods, with the Orma ownership of cattle conferring a greater sense of wealth in the eyes of Pokomo farmers who have been separated from their land. The Orma, for their part, do not see themselves as being affluent and complained of their historical lack of political representations and lack of access to educational resources since the majority of teachers in the area are Pokomos who now refuse to report for work due to security concerns. The majority of the Orma community lives in traditional homes, partially due to their semi-nomadic lifestyle. Homes destroyed during the attack on 21 December 2012 can be identified by the metal roofs built with reconstruction materials provided by the Kenyan Red Cross. Mutual sense of victimization – Members of both ethnic groups view themselves as the sole victims of the conflict, even in situations where members of their own group have been killed while engaging in attacks that they themselves initiated against the opposing community. For example, a major point of contention amongst the Pokomo community was the Orma refusal to return the bodies of eight men from the village of Ngao who were killed in the process of attacking the village of Kipao, where 31 residents were killed during a massacre on 21 December 2012. In discussions with Pokomo community members, only the eight men were mentioned, but not the reason why they were in Kipao or the Orma victims. The Orma community refused to return the bodies of eight Pokomo men killed while attacking the village of Kipao on 21 December 2012. Instead, the bodies were disposed of by burning, which remains a major point of contention for the Pokomo community. Mutual distrust and suspicion of duplicity – Neither the Orma nor the Pokomo seem to have enough trust in the opposite community to engage wholeheartedly in a peace process, since both sides expect the betrayal of any agreement that is made. The leaders of both communities indicated their desire for peace but this may have been part of an effort to make statements that would be well-received by outside observers while still remaining distrustful. For example, the Orma chief in Kipao expressed confusion about how Pokomo elders had visited his home for a feast in December 2012 only to have his village attacked and several people killed within a few days. Such recent memories are very powerful and are a major obstacle to peacebuilding initiatives. 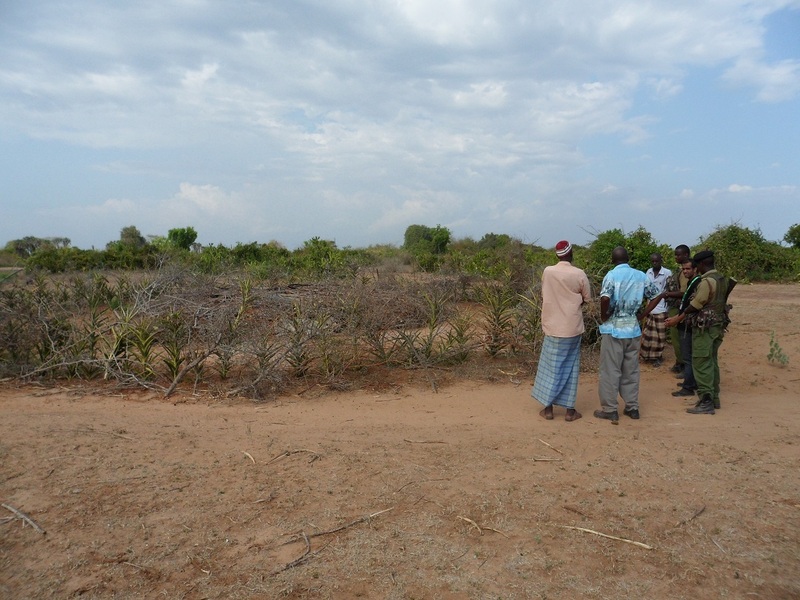 Members of the survey team pay their respects at the mass grave holding victims of the 21 December 2012 Kipao massacre along with local community members and security forces. Outside influence – Several commenters cited the meddling of outside actors as being influential in facilitating the violence. In some cases, such as claims about foreign corporations and governments acquiring – or attempting to acquire – large tracts of land in the Tana Delta, this involvement is seen largely a precipitating factor which makes land scarce and places the communities at odds rather than providing direct support to any of the belligerents. For example, the Canadian firm Bedford Biofuels has leased a large tract of land in the area for its operations, thus causing environmental damage and depriving Tana Delta residents of its use for agriculture. Other outside influences are seen as being more malevolent, such as accusations that wealthy and powerful Kenyans as well as foreigners have armed either ethnic group and set them to driving the other off the land so that it can be freed up for commercial exploitation. This is a potential case of misinformation, as is the allegation that the Mombasa Republican Council (MRC) is providing support to the Pokomo community in the form of weapons and armed men. The Sentinel Project team did not see any evidence of this but there have been reports from the Orma community on two different occasions that MRC identity cards and identifying items of clothing were discovered either on men fighting alongside Pokomo attackers or left behind following an attack. This physical evidence could not be produced since it had allegedly been turned over to the authorities, so these claims remain unsubstantiated. Lamu port development – Amongst the external economic factors influencing the Tana Delta violence, the development of the nearby city of Lamu into a major port arose several times. It is unclear whether this has an actual influence but some local observers commented that it will raise the value of all surrounding land, which the Tana Delta is a part of, and therefore increase the incentive for rivals to fight over it. The level to which such considerations have influenced the violence or motivated external parties supporting it is unclear. This may be a form of misinformation. 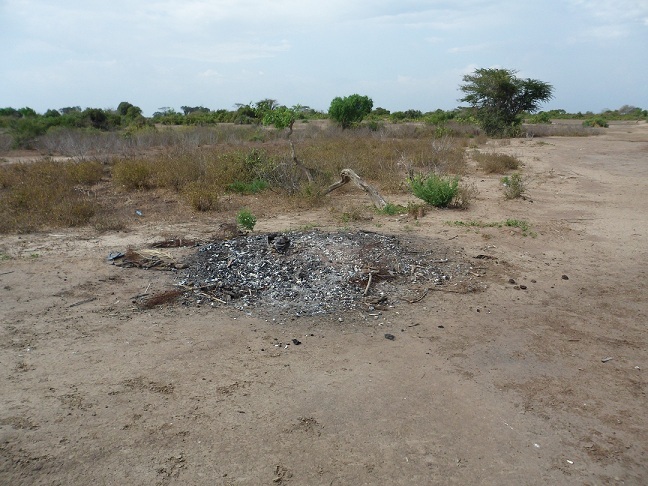 The Tana Delta remains at a moderate level of risk for mass atrocities. There are several underlying issues present in the Tana Delta which have contributed to the recent killings and show the potential to do so again under the right circumstances (see “Drivers of Violence” section above), especially if conditions in the area change such that disputes over resources worsen. Fortunately, the relatively peaceful passage of the general election on 4 March 2013 seems to have removed much of the political influence from the situation since local politicians no longer have incentives to incite violence in the hope of gaining votes. However, now that Orma candidates have gained political control of the area and the Pokomo – who already feel that they are treated unfairly by the government – are effectively disenfranchised, grievances have the potential to spark violence if it is seen as the only remaining form of recourse against injustices or perceived threats. The continued police and military presence in the area has served as a mitigating factor, especially since both of the belligerents are non-state actors, but this is not a lasting solution and without robust peacebuilding efforts, any future withdrawal of security forces will allow for an easy recurrence of violence. One serious factor which must be addressed is the prevalence of misinformation in the Tana Delta. If efforts are not made to recognize and counter the ongoing dissemination of incorrect information – whether deliberate or unintentional – then Tana Delta residents may find themselves acting on poorly-formed perceptions of their situation which cast violence as a reasonable option to address problems, especially for youths. Considering the significant role of misinformation in the Tana Delta, the Sentinel Project has the potential to play an important role in reducing the risk of violence by taking an innovative approach to mapping reports of violence, the appearance of new pieces of harmful misinformation, and countering the spread of public perceptions which contribute to further violence. While the other factors in the area such as environmental and economic stresses are beyond the capabilities of the Sentinel Project to address, countering misinformation falls clearly within the organization’s area of expertise since there is a role for ICT to play here. A project plan is being developed for a system which would crowdsource reports of misinformation, largely through SMS-based reporting, map its origins and flow, and then test measures to counter it. The Tana Delta is a relatively small area in terms of geographical size and it also has a relatively small population, which makes it a feasible place for the Sentinel Project to operate in an impactful way. If implemented, this work will play a preventive role by reducing the risk of further violence and possibly even mass atrocities. 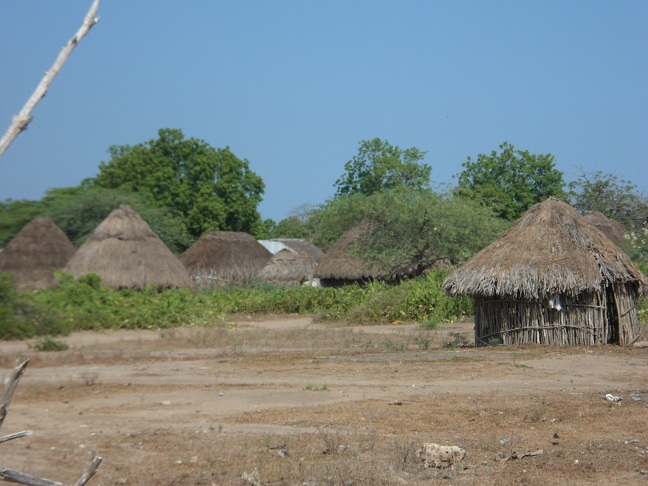 Pokomo attack on Reketa (Orma village); 52 killed, including women, children, and unarmed men; many were hacked to death with machetes or burned to death; 200 Orma cattle captured; thought to be in retaliation for Orma invasion of Pokomo farms. Orma attack on Chamwanamuma (Pokomo village); 12 killed, several homes burned down. Pokomo attack on Kilelengwani (Orma village); 38 killed (31 civilians, 9 police officers). Orma attacks on Semikaro, Laini, Nduru, and Shirikisho villages; 3 Pokomos killed. Security forces deployed to the Tana Delta by the Kenyan government. Attack on Ozi by unknown attackers; 67 homes burned down; local MP claims this was a heavy-handed response by government security forces. Pokomo attack on Kipao (Orma village); 39 killed (8 attackers, 31 Kipao residents), including women, children, and unarmed men. Pokomo attack on Nduru (Orma village); 11 killed (6 Ormas, 5 attacked). Orma attack on Kibusu (Pokomo village); 11 killed (all Pokomo), including women, children, and unarmed men. The terms “Tana River District” and “Tana Delta” are used to refer to different political and geographical entities as appropriate. The Tana River District signifies the administrative area with boundaries mandated by the Kenyan government while the Tana Delta refers specifically to the geographical area associated with the river where most of the violence-affected population lives.